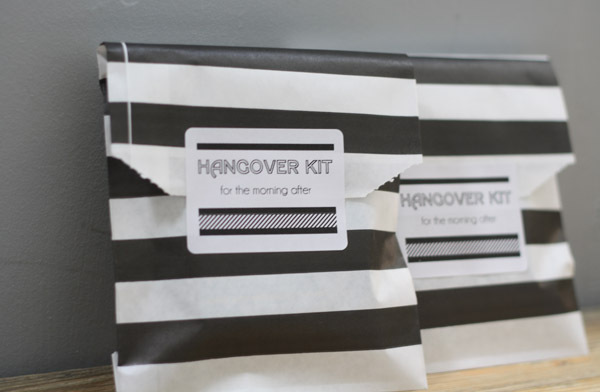 Create a DIY hangover kit for your wedding guests to use the morning after! If you’re feeling crafty why not create some little gifts for your guests for the following day. 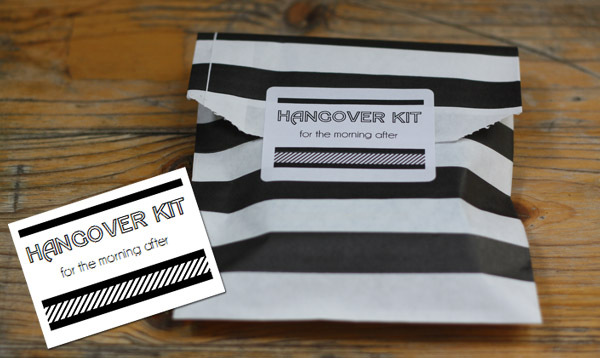 Fill our striped paper bags with hangover cures and leave for special guests such as ushers and best men to use. You could include an ice pack for any headaches, packet of Alka-Seltzer, mints, aspirin, cheap sunglasses or whatever you choose. The sheet of labels are compatible with Avery address labels J8161-500 (18 labels per sheet) available from most stationery stores. Once you’ve printed out the labels fill up your paper bags and stick the labels to seal them. You will need to install the fonts in the zip file before you open the word document. 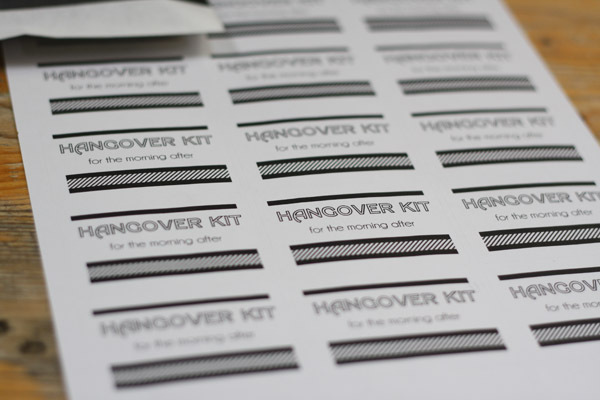 What would you add to your DIY hangover wedding kits? We’d love to hear your ideas, post them in the comments box below. Hi Maria – I have just sent over the word doc template. Hi, I was hoping I could also get the Word template so that I can customize the colors for my wedding. 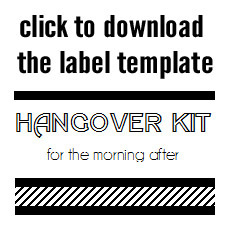 I’ve been looking all over the place for cute labels like these for my hangover kits. Glad I stumbled across them! Thanks!